> 2 Phase Hybrid Stepper Motors, 200 steps/ turn, 1.8 Degree/step. > Available from D.24NM to 0.24 NM Holding Torque. > Available Frame sizes from NEMA 17 to NEMA 42. > Double end shaft available as option. > stronger torque generated in higher speed zone. > Gearboxes and Encoders are options. > High torque , low vibration & low noise. > Lower vibration by increased stiffness of body construction. 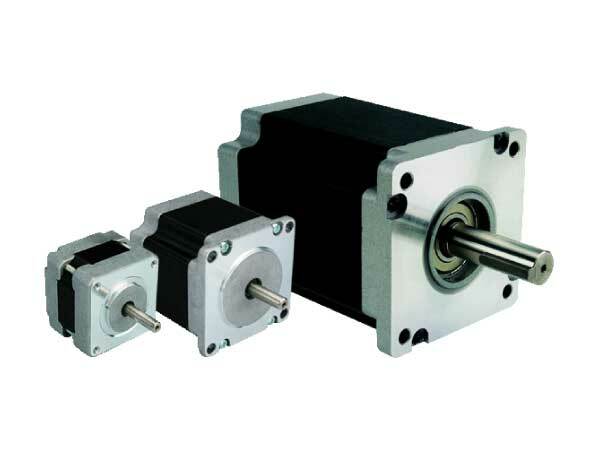 > Stepping motors complying with UL & EN standards are available upon request. Machine Tools, Coil winding, Packaging machines, Labeling machines, Pharmaceutical machines, Printing machines, X Y tables, Textile machines, Gantries, Pick and Place units, Robotics, Laser marking and cutting machines.